Panama is one of the few countries in the world to offer residency whilst taxing worldwide income, which means that you get a tax residency, and you can legally run your business or receive worldwide income without paying any taxes in Panama. Like Singapore 35 years ago Panama is booming and requires a large number of skilled migrants and entrepreneurs to fill its growing demand for skilled personnel. Comparing Singapore’s immigration and growth policy is not coincidental as Panama has largely modelled its economic, fiscal and immigration strategy on Singapore with numerous residency programs designed to attract the right kind of person to Panama. 18% of Singapore’s population now have over USD 1 million in disposable cash reserves. In Panama the situation will soon be the same. Panama offers programs for entrepreneurs wishing to establish a business or invest in real estate, for skilled migrants and pensioners. Below we discuss some of the popular programs offered by the Panama Government where Capital Panama Real Estate’s associates can assist. An investment of minimum USD 370,000 is made in a fixed deposit bank account with one of the Panama government banks. The amount of deposit will depend on the interest rates offered at the time of making the deposit, but it must generate a monthly interest of at least USD 850. Within 4 months a travel passport is issued by the Government of Panama for the holder and his immediate family members. This is not a Panamanian citizenship, but a valid international travel document. The deposit is 5 years term (the same as the validity of a normal Panama travel passport) with an option to renew the deposit and passport for another 5 years, if necessary. As long as the deposit is held the investor and his family are entitled to reside in Panama. The deposit can be withdrawn any time but once withdrawn the residency is lost. If you invest in Panama Real Estate or make a deposit in a Panama Bank for a sum of 300,000 USD, then you are eligible for permanent residence. Your family, namely spouse and children, can qualify for permanent residence as well, upon additional investment of USD 2,000 per each dependent. This program offers three investment options. OPTION 1. The easiest form of investment is real estate which returns around 6-8% ROI. At present you can buy inner city apartments from USD 2000-3000 per sq. m. Thus, the typical investment would be, three 50 square meter. apartments returning around USD 1000 each. A USD 300,000 investment would therefore return roughly up to USD 3000 a month yielding around 7-8% after expenses. Since Real Estate in Panama grows at a rate of 7-10% per year and is anticipated to keep growing over the next twenty years, investing is not only a perfect residency solution but a financial solution as well. OPTION 3. The investor may choose to combine the two above-mentioned options by making an investment in both Panama real estate and a Panama bank deposit where the equity and cash amount total at least USD 300,000. 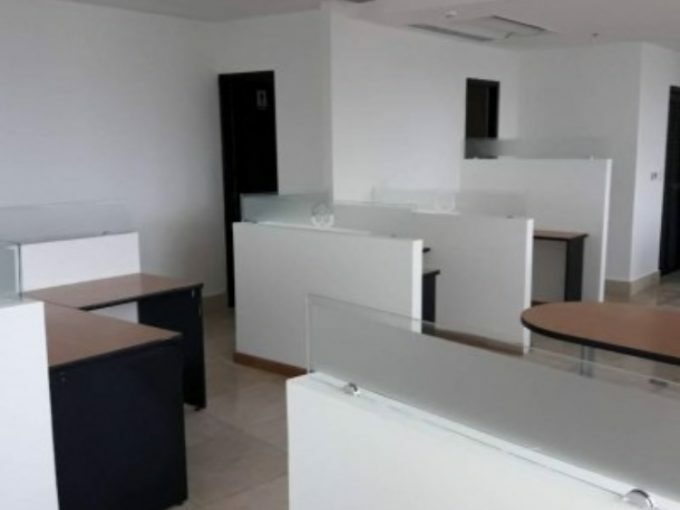 For example, an investment of USD 200,000 in real estate property plus a deposit of USD 100,000 with one of the reputable Panama banks will be sufficient for an applicant to qualify for residency visa. For every dependent to be included with the visa, an additional USD 2,000 must be invested. For any of these 3 options, once the investment is made a residency card for 2 years is issued within about 4 months, after which permanent residency is achieved. Residents of Panama are eligible to apply for Panamanian citizenship after 5 years of permanent residency in Panama. the best and easiest retirement program in the world today. The program is open to any age or nationality, but you must be able to demonstrate that you have a fixed in-come from a pension or retirement fund equivalent to USD 1,000 per month for the applicant or for the applicant with a spouse. Another USD 250 per month must be generated by pension for each dependent. If an applicant has purchased a property in Panama with a value of at least USD 100,000, the monthly pension requirement can be reduced to USD 750. The retirement visa grants residency as well as discounts of up to 50% on restaurants, travel, entertainments and even government medical services. Panama has been voted as one of the world’s top retirement havens because of its advanced medical facilities and infrastructure. There are numerous retirement communities in Panama where real estate is very affordable. growing at a rapid rate, business in Panama is also benefiting from growth. Panama has an influx of immigrants, many with high wealth and spending power and small medium and large business are set to benefit from this huge growth. Currently opportunities exist in tourism, hotels, fishing, manufacturing, wholesale and retail, medical centers, restaurants as well as agriculture. Indeed, with good business experience and if you are able to provide good service you will thrive in Panama. The Panamanian Government has implemented a country wide reforestation program so that it can benefit from Timber industry development. In order to encourage investment in this sector the government offers residency for a minimum investment of USD 80,000 for a purchase in an approved forestry project of at least 5 hectares. The advantages are that this investment entitles 2 adults (married couple) and their children to gain residency, followed by the right to apply for a Panama citizenship. This is the least expensive legitimate residency program we are aware of. This is an inexpensive way to obtain a Panama residency and eventually a citizenship with Panama passport which is good for visa free travel in the EU and throughout most of Latin America. These projects are supposed to generate a fantastic return after 25 years, many times your investment. If you were to liquidate the land say after 10 years your return would generate substantial losses. This is because it takes years for the trees to grow. Now if the value of land in Panama keeps appreciating like it has been doing recently this may prove to be untrue and the investment may be worth more in a few short years. Any gain made on this investment is not taxable in Panama. We are not investment advisors and you need to evaluate the investment potential yourself. -Provided that you are generally in good health and have no seriously contagious diseases there is no onerous medical testing or procedures and, in most cases, even if you have illnesses (such as heart disease, etc.) exemptions and waivers can be easily obtained. -The initial residency permit is granted within three weeks with a final permit generally after three months making the procedure a lot faster than others. -There is no age barrier. -The cost of residency in terms of government and professional fees is far below most other countries. Capital Panama Real Estate offers Citizenship and Residency By Investment Services, Corporate, Banking and Trust Services. We have affiliated offices and authorized agents in the most important jurisdictions where second Citizenships are offered. As a matter of fact, we are known as the main supplier of Citizenship by Investment in the Caribbean. Our team of specialists and lawyers not only have the knowledge and experience of the application processes but also maintain deeply developed relationships with the Government and real estate agents, this guarantees the best possible service and swift solutions to any challenges that can occur during the process. Capital Panama Real Estate works together with NTL Wealth, an internationally renowned, closely held group of trust, corporate and immigration providers having their offices in New Zealand, Nevis, The Caribbean, Vanuatu and Panama. We specialize in tailoring comprehensive wealth maximization and immigration solutions using trusts and multi-jurisdictional structures supported by a team of experts. -Trusts and foundations for asset protection and confidentiality. -Corporations and personal bank accounts in several jurisdictions. -Citizenship and residency by investment worldwide. -Financial services managed and licensed entities. CAPITAL PANAMA REAL ESTATE has partnered with one of Panama’s top immigration lawyers who is both a leading immigration and tax expert in Panama. We have also partnered with some of Panama’s top wealth advisers and real estate developers to create the best Panama residency package available today. 1. A customized high-quality service for our clients providing you with the most up to date information and support: from organizing investment tours to the complete fast track residency. Applicants also receive legal consultation from an immigration lawyer (in English, Russian or Spanish) as part of the package. 2. You will be partnered with a personal representative who will answer all your questions about Panama and we will assist you in all aspects of relocation from finding real estate, obtaining a mobile phone number to booking your holiday. Our concierge service is designed to assist you in the most difficult phase of residency when you are a new arrival. We will also introduce you to the right people here so that you can save thousands if not tens of thousands of dollars by not dealing with the wrong people. 3. Our full corporate service will support all your corporate and legal needs from opening a bank account and foundation to locating and assessing investments and completing real estate purchases.